These plans are typically developed using digital aerial photography overlaid with accurate boundary and services information. 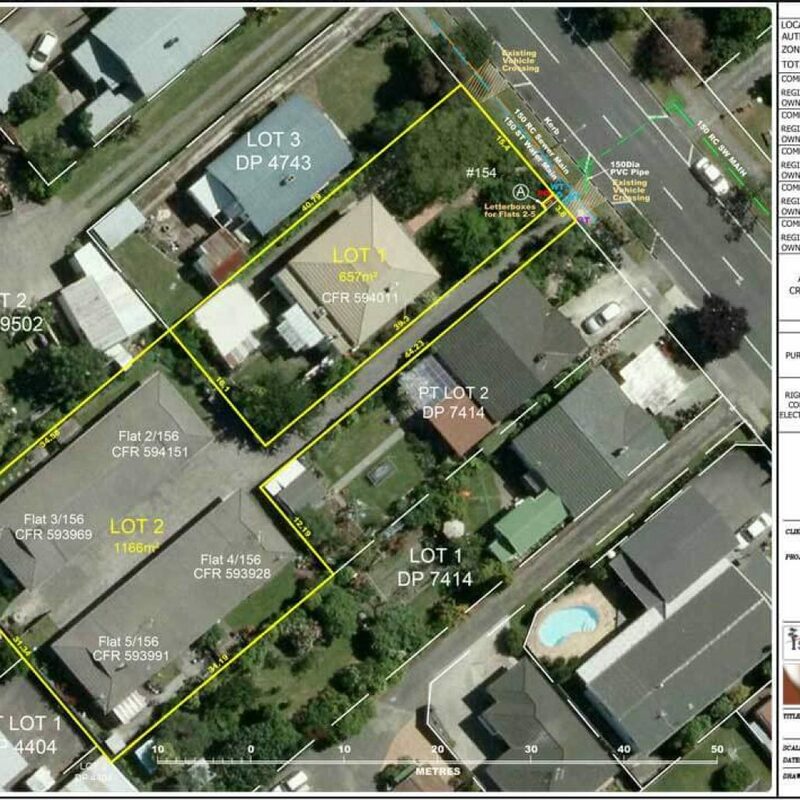 Site layout plans form the basis of much of our subdivision planning and design works, and applications for resource consent. Used to design subdivision layouts and calculate areas. 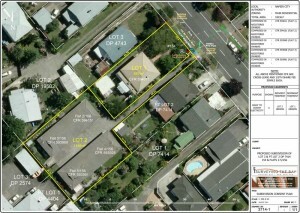 Used by Surveyors and Planners to obtain Resource Consent. Scheme plan overlaid with design, often used by Valuers. Occasionally our plan presentation requires a more artistic and less technical look, in which case we can prepare plans of the types set out below.